Hello everyone, Today's I am going to share the code sample for disable all the weekends days of jQuery UI Datepicker. Note : The noWeekends is an internal function of jQuery datepicker. 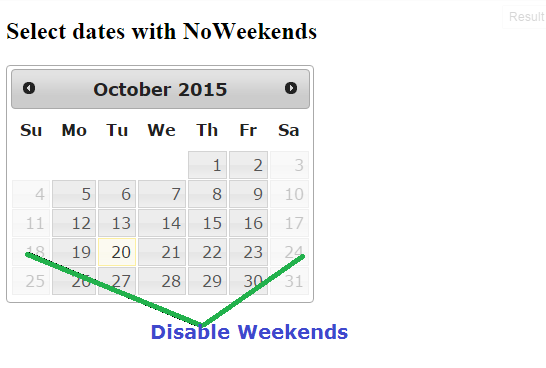 Its work default when we using the code($.datepicker.noWeekends) for disable to all weekends. The output result, you can seen in the below calendar, Here all weekends date is disabled.